I recently had to play with several FTP servers… and truth to be told, working command line can turn into a pain in the neck. You might miss a filename, or maybe you need to type really, relaly long paths. That’s why i began looking for a decent FTP client for OSX. Well, it turns out, these guys wrote a pretty decent FTP client. And guess what! they offer it for free!. If you like it, please, hit the donate button. It’s in the AppStore, too, but it’s offered for over 20 dollars, yet, for some unknown reason, you can get it for free straight from the developer’s website. 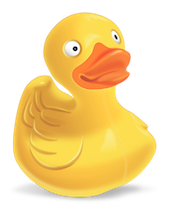 The good thing about Cyberduck is that it has support for Amazon S3, Google Docs, and almost anything you could possibly need. I’m sure there are other pretty good FTP clients for OSX. But i think this one deserves our attention. Previous PostPreventing crashes: JSON Parsers & Null entries!Next PostHTML5 Popups!